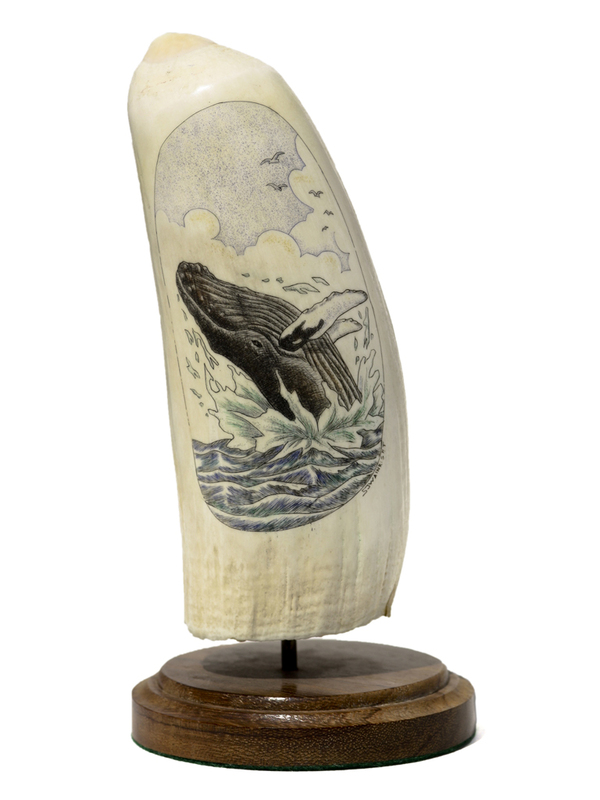 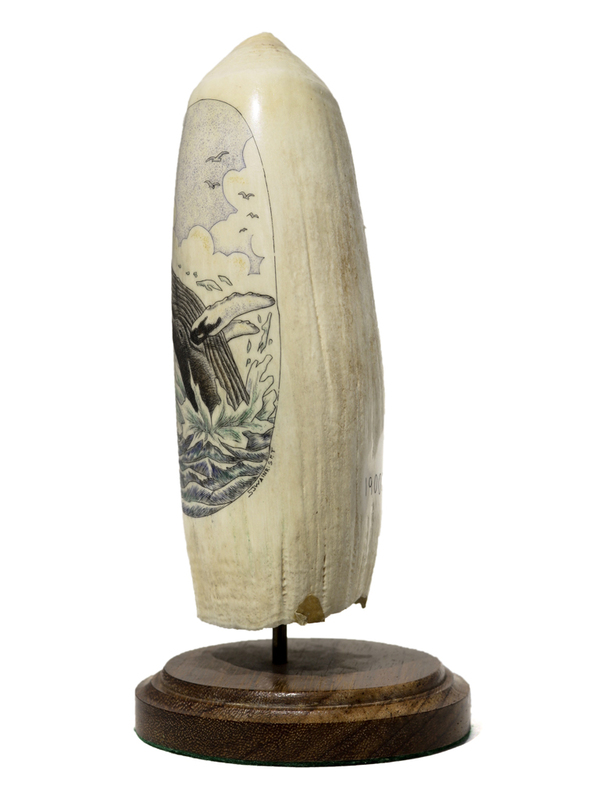 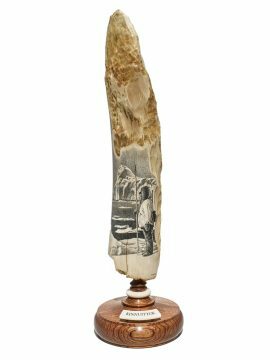 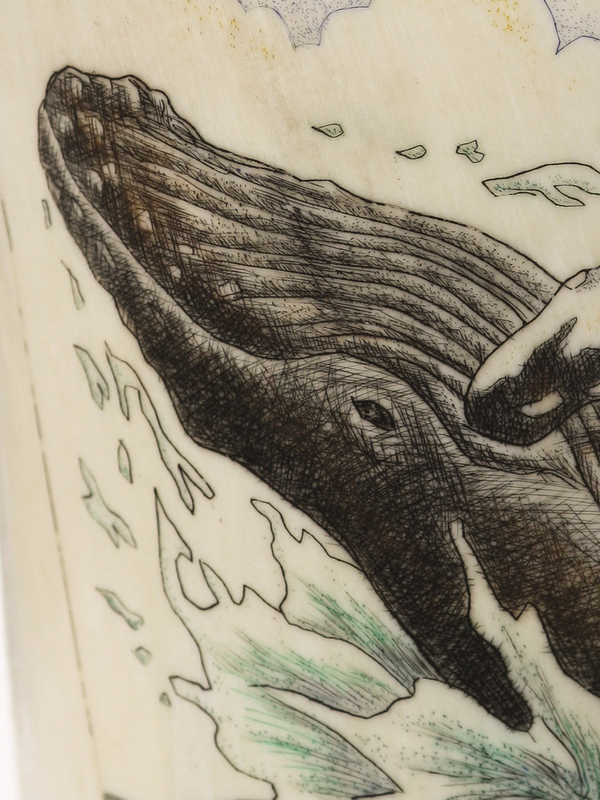 Color scrimshaw on whale’s tooth by S.J. 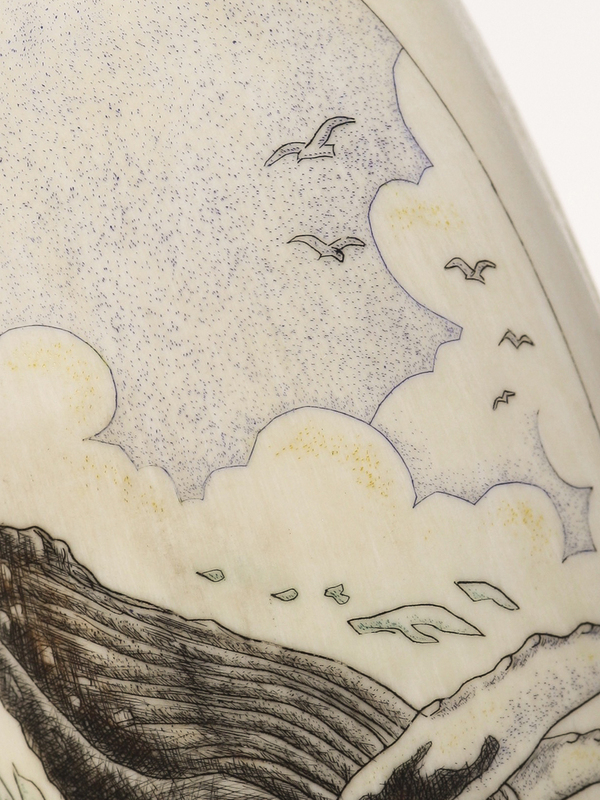 Wainwright. 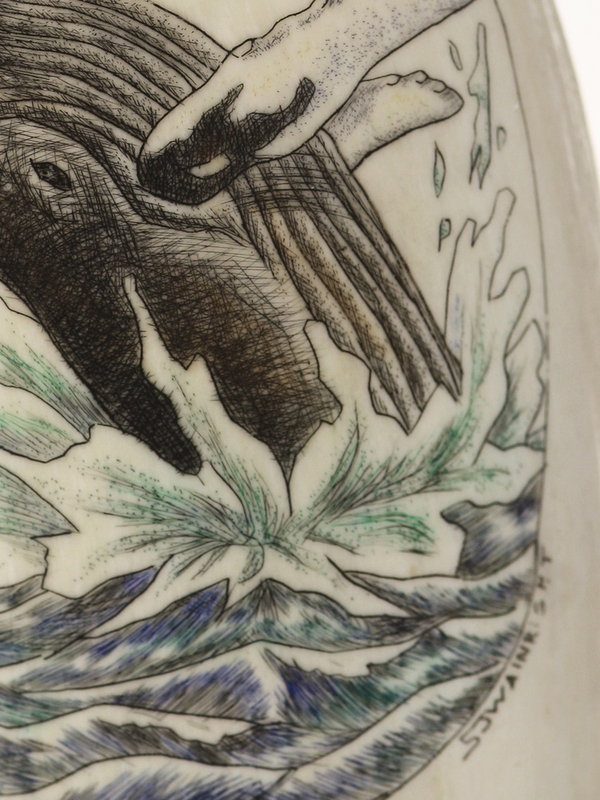 This was done in Hawaii years and years ago and is part of a collection from someone who is no longer with us. 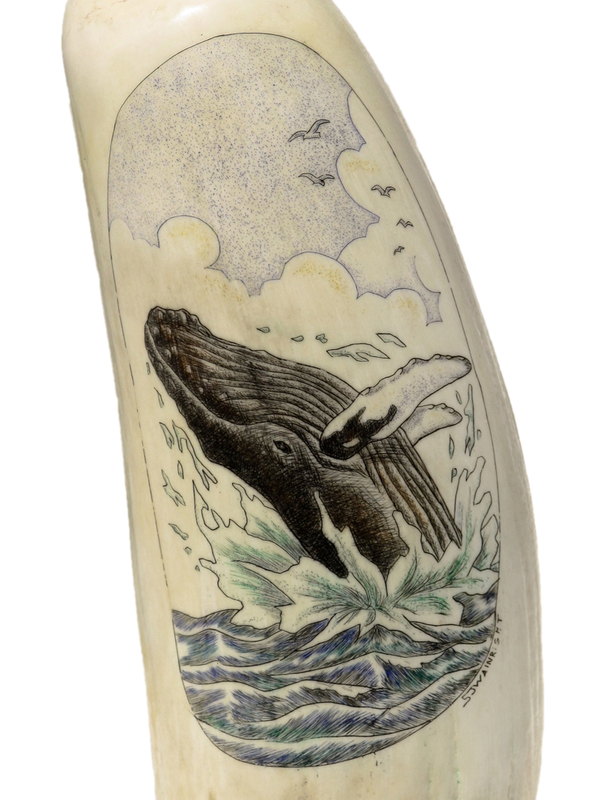 Not familiar with the scrimshander, but it is done on a nice sized tooth. 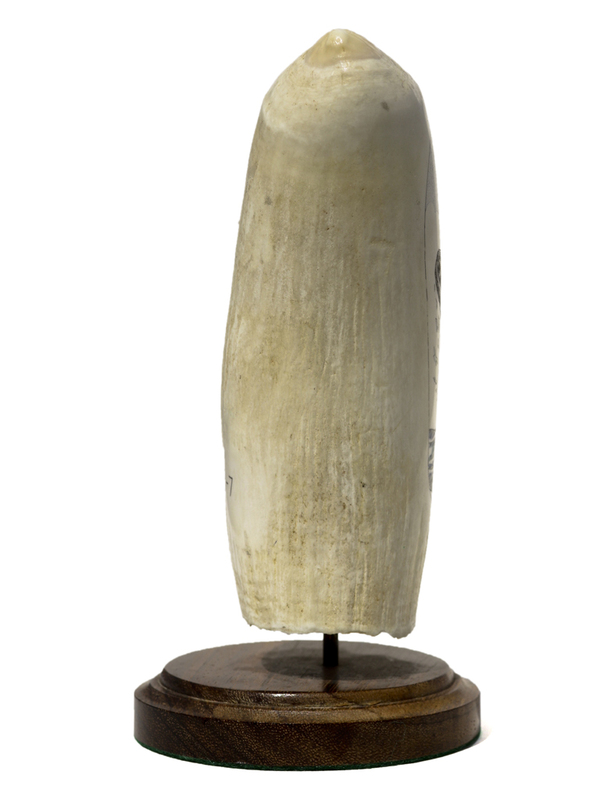 Weighs in at 3/4 of a pound. 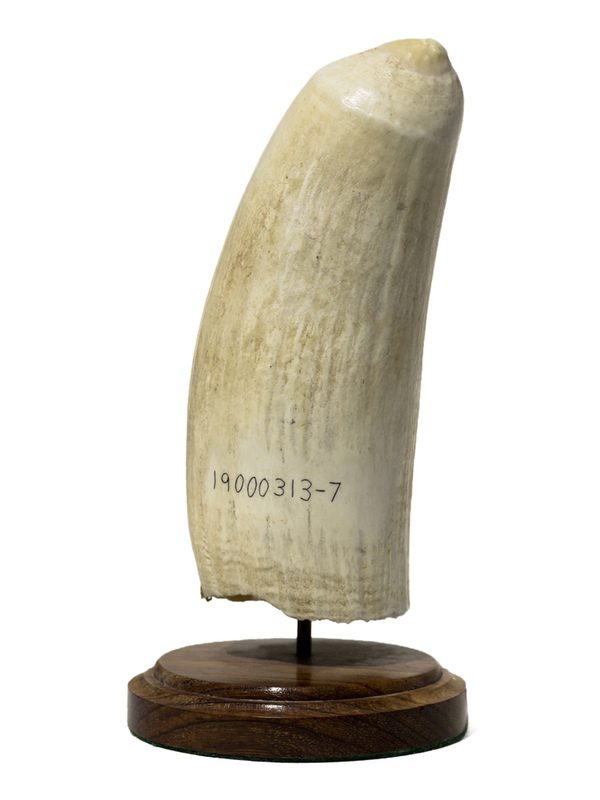 Good price for the tooth by itself.